Cream Beta Gamma Nu cardigan sweater with the crest on the left breast. Don't like this sweater? Looking for something different? 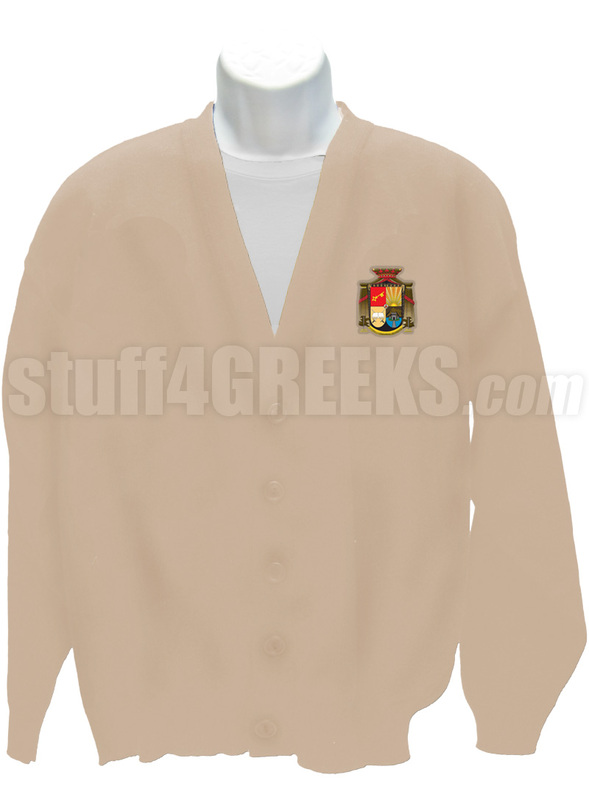 Click here to make your own custom Greek cardigan.